I've grown up in the lawn care and landscaping industry my whole life, and nothing excites me more than seeing our company grow along with others like us who are living out the American Dream. The best way that I have found to stay current, is to talk to people within the industry and see what trends they've noticed on the horizon. 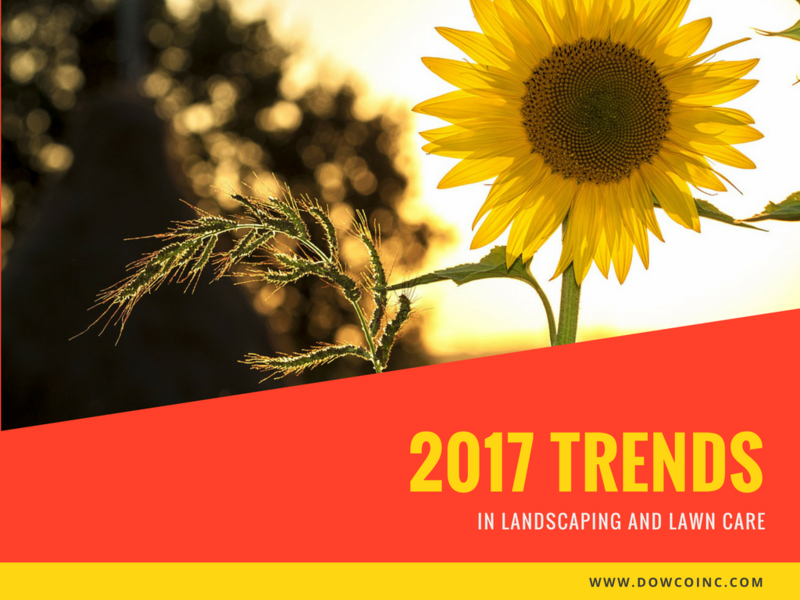 Here you’ll find a collection of ideas from thought leaders around North America on what they believe are going to be the biggest trends we see in lawn care, landscaping and small businesses in 2017. When this client called and asked to set-up a meeting to discuss improving their backyard landscape I had a good feeling about the potential for the space. The entire family is outdoor enthusiasts, and they enjoy entertaining. 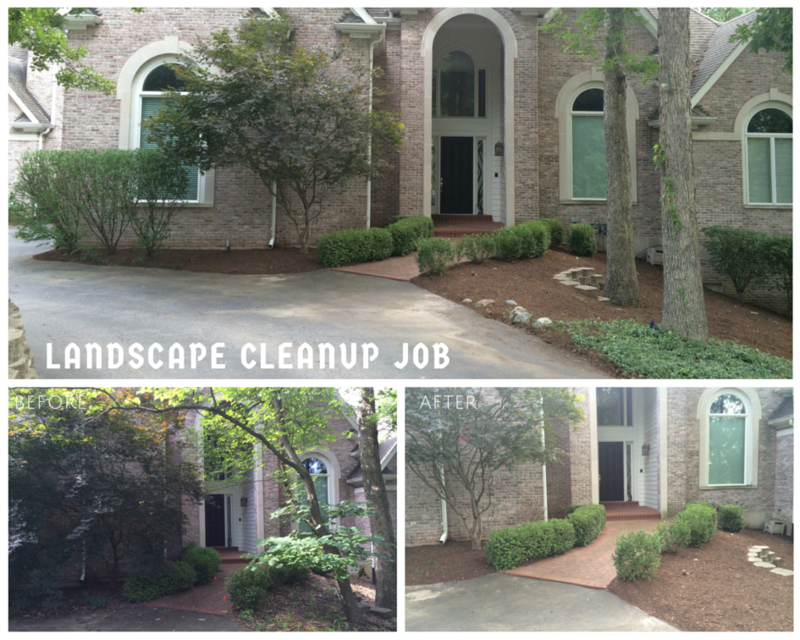 One of our long time, loyal clients asked us to help her at her mom's house. The current situation included a lot of overgrown plants, dead trees, and healthy weeds. 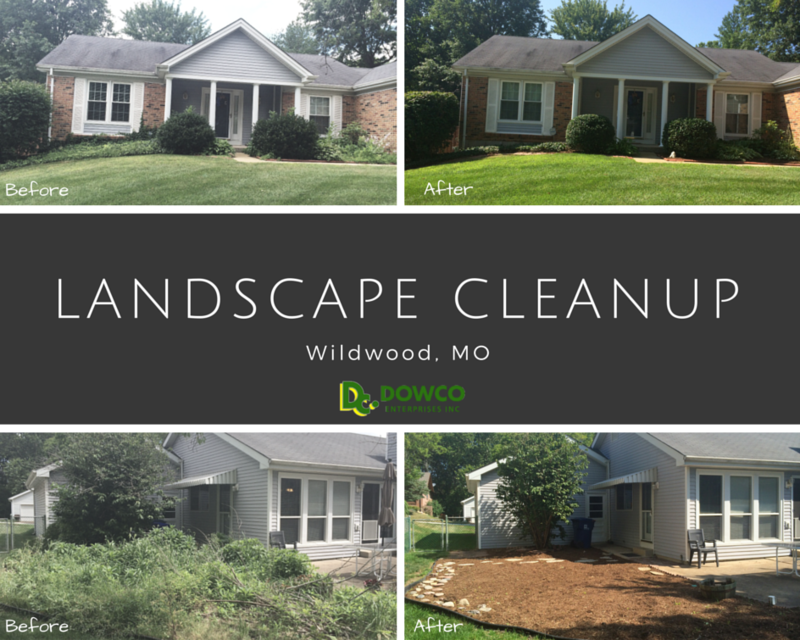 After Dowco performed this landscape cleanup in Wildwood, MO, the home looked completely different! This Dowco client has grandkids who come over frequently. 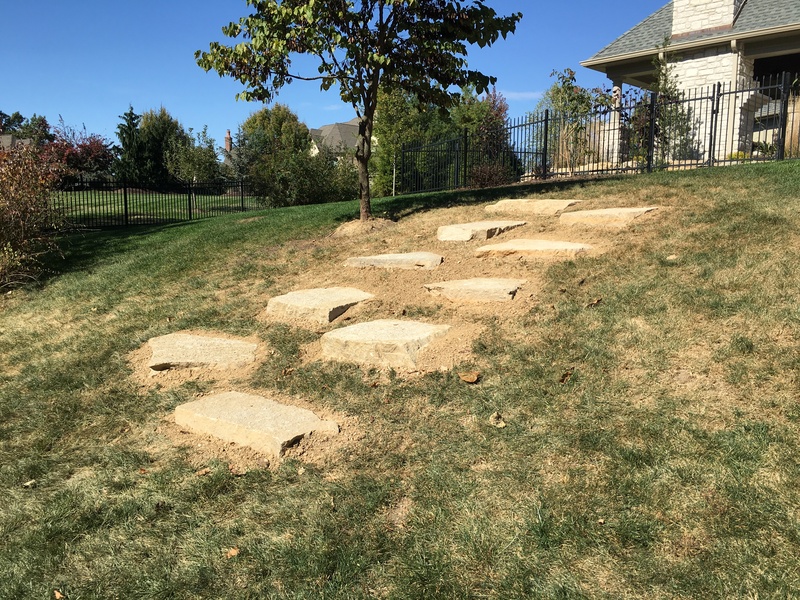 She is in the process of building a swing set and playground area in the backyard, and asked Dowco to install steps that she could use to walk down the hillside. 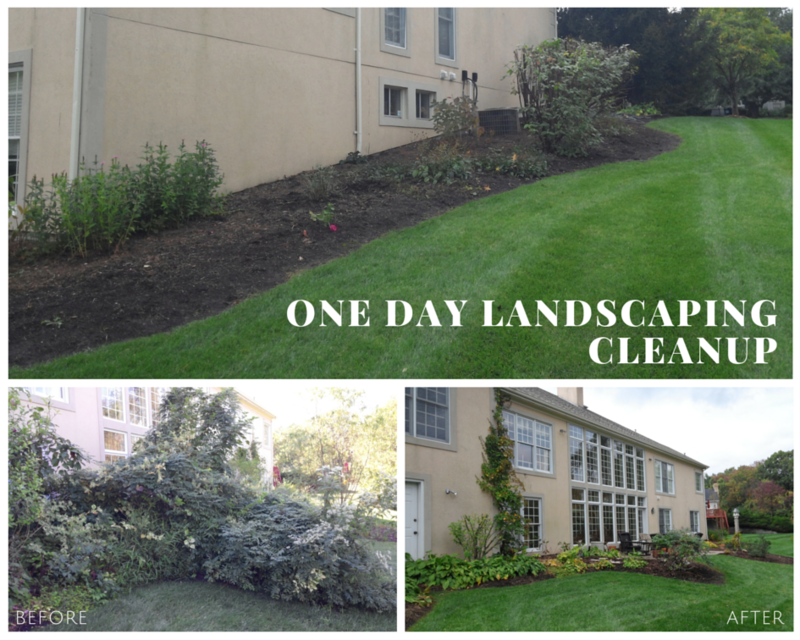 Are you feeling overwhelmed with the amount of work that your landscaping needs? Wondering where to even begin? Here is a yard that Dowco transformed in one day by cleaning the weeds and leaves out of the beds, trimming and pruning the existing shrubs, removing dead trees, and installing fresh mulch. This job was completed for less than $2,000 and gave the homeowner a fresh slate. She can rest at ease knowing that everything is tidy and budget for the next phase of planting new landscaping! 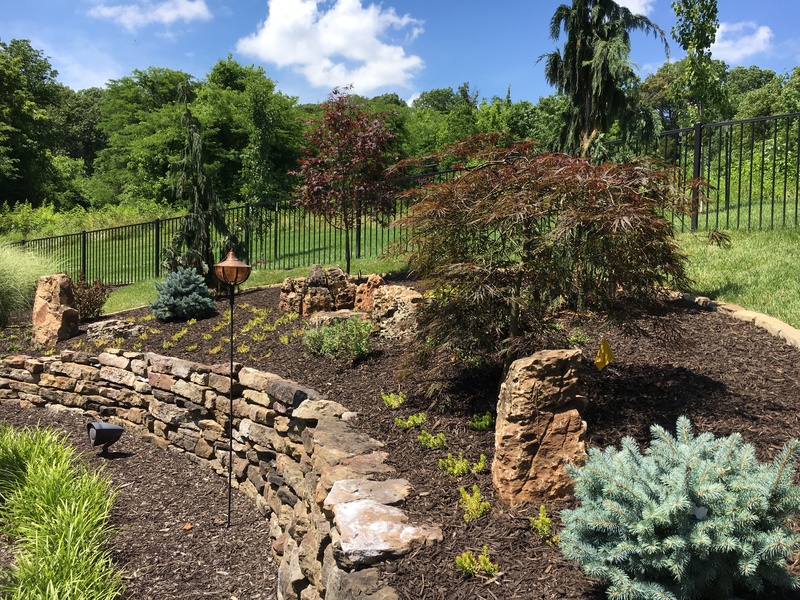 Check out these before and after photos of a Chesterfield Landscaping bed that Dowco replanted for one of our clients this summer. 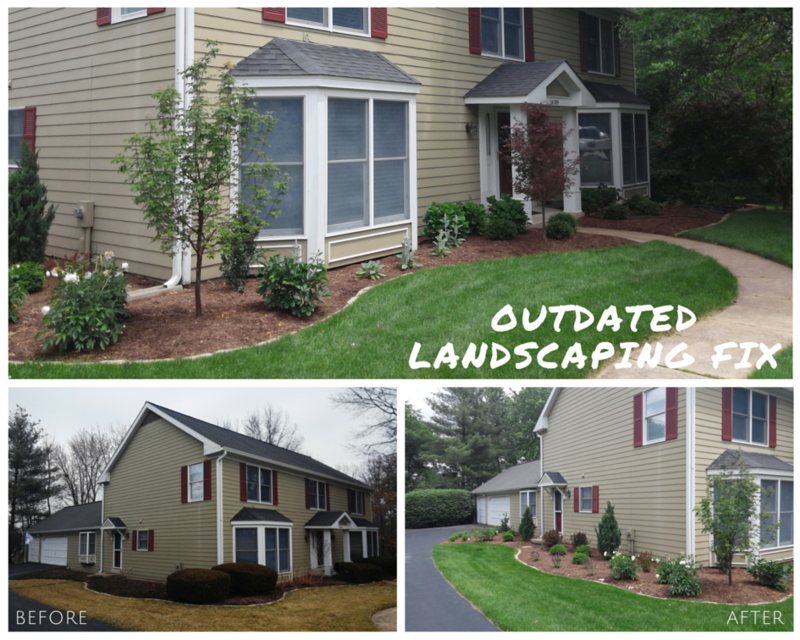 Check out these before and after photos of a Chesterfield Landscaping Project that Dowco completed for one of our lawn and landscape maintenance clients! 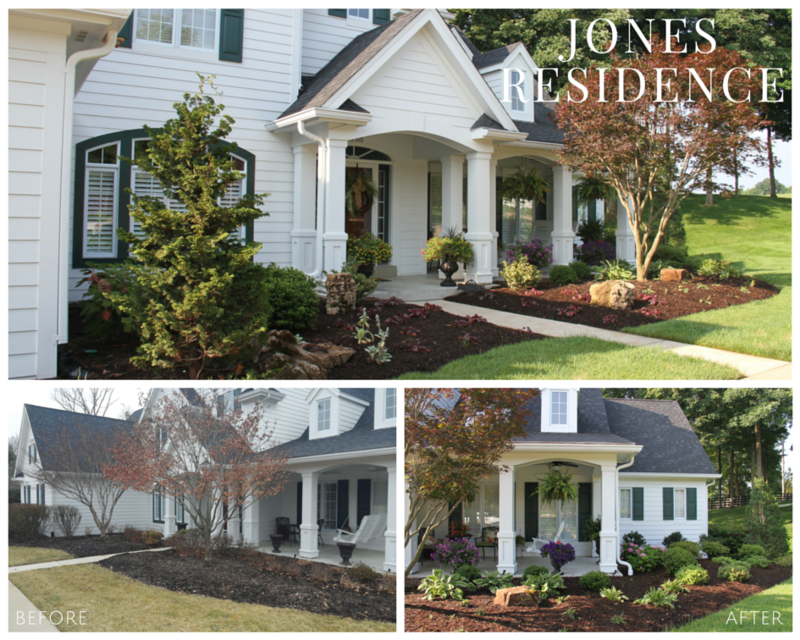 After living in his Chesterfield, MO house for many years, this Dowco client was ready for his front and side yard to have a facelift! 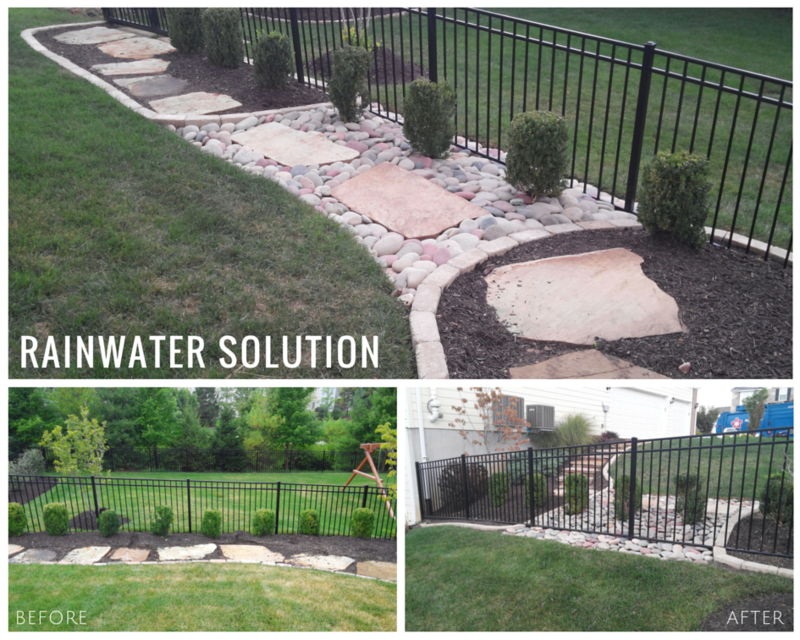 Check out these before & after photos from a Dowco client who moved into the area from out of state. 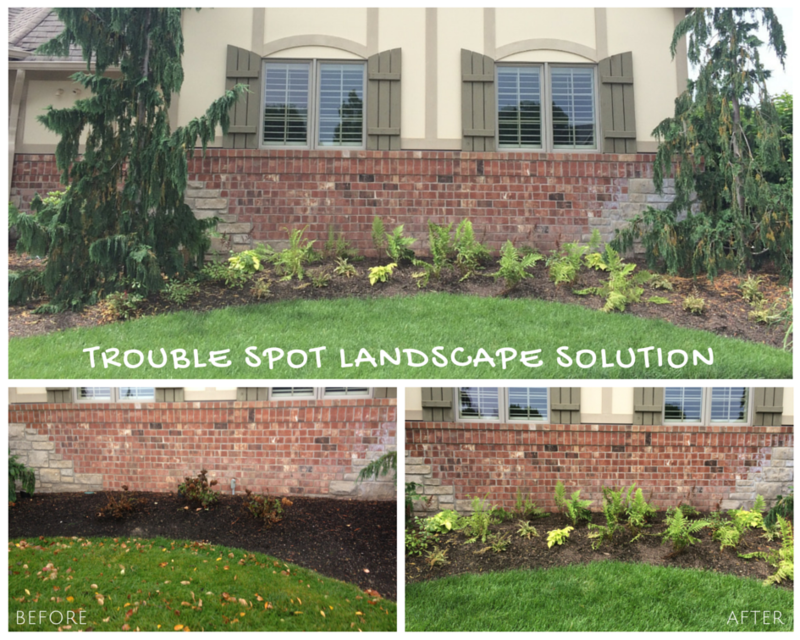 Check out this landscaping project we recently finished at a Chesterfield, MO client’s home!